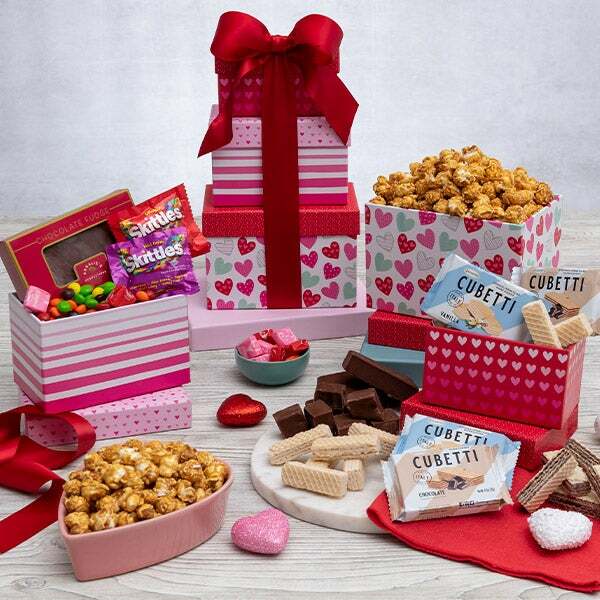 Inside of these elegant printed boxes we’ve packed more sweets than your Valentine could ever ask for! 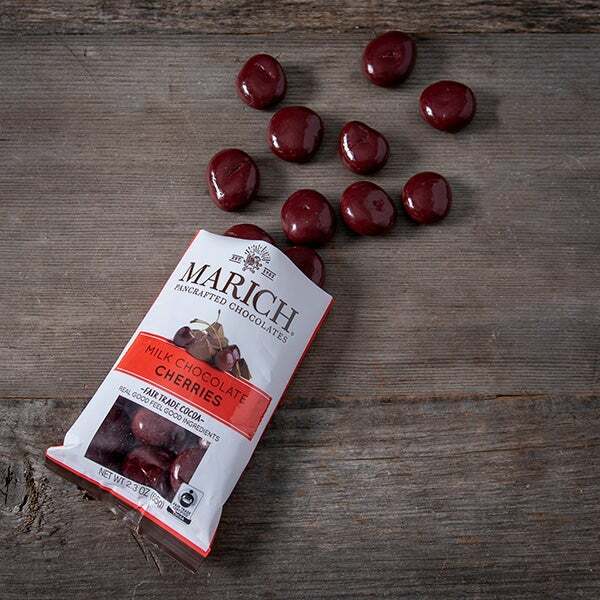 With crisp handcrafted popcorn coated in dreamy caramel, chocolate covered cherries and cocoa dusted chocolate almonds, this stunning gift is sure to make them yours long past Valentine's Day! 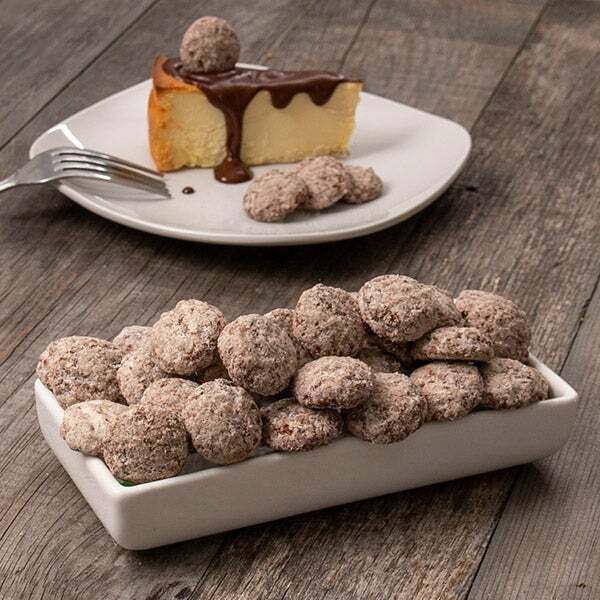 Chocolate Cheesecake Cookies by Byrd's Famous Cookies - 2.25 oz. 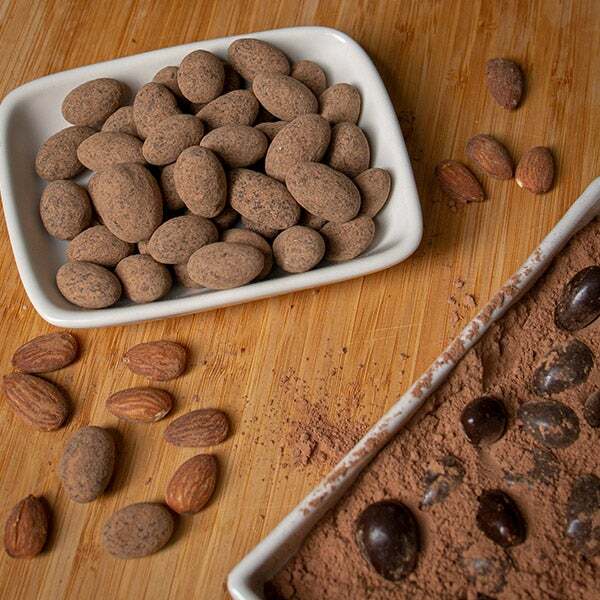 Cocoa Dusted Dark Chocolate Almonds by GourmetGiftBaskets.com - 6 oz. 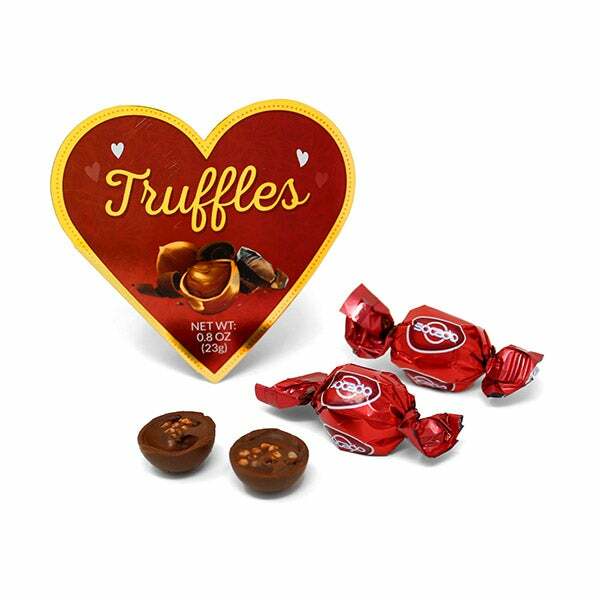 Milk Chocolate Hazelnut Truffle by Soccado - .8 oz. 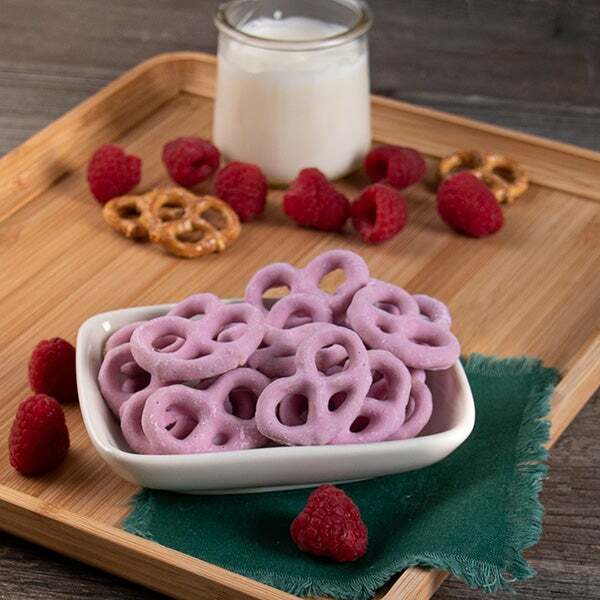 Raspberry Yogurt Pretzels by GourmetGiftBaskets.com - 5 oz. Caramel Popcorn by GourmetGiftBaskets.com - 4 oz. Dimensions: 14 3/8" x 8 1/2" x 7"